High quality, contemporary styled, three door waiter station with adjustable internal shelving, upper soft close drawers and polished Corian™ work top. 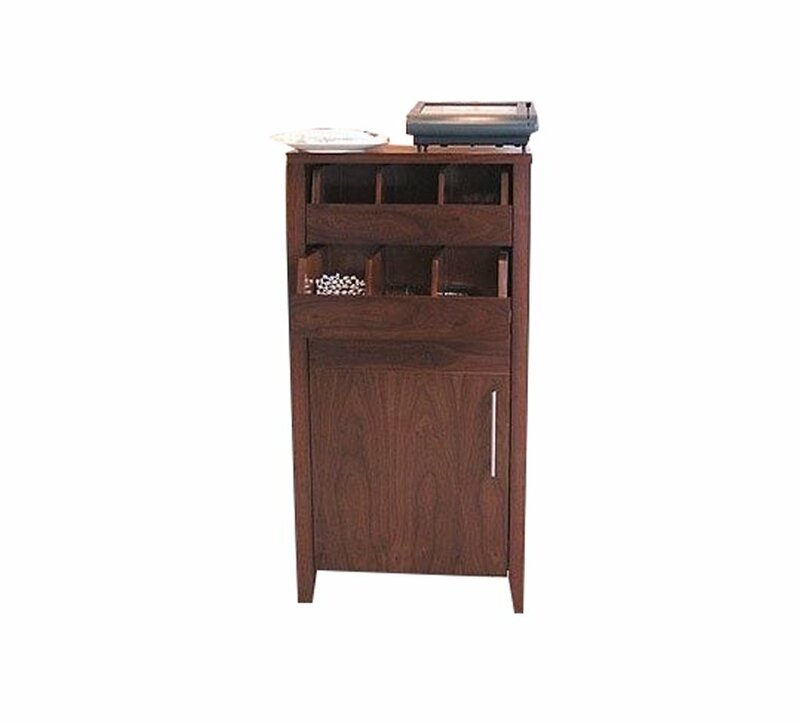 Our waiter stations are designed to provide practical worktop space for catering and beverage preparation at a comfortable standing height with ample storage space for glassware, utensils and crockery. The quality hard wearing lacquer finish protects the cabinet for high use work conditions while accentuating the natural grain in the veneered cabinetry. The polished Corian™ worktop provides a stylish and hardwearing work area for the professional catering environment. Wood finish: veneered cabinetry with a lacquer finish. High quality, contemporary styled, three door waiter station with adjustable internal shelving, upper soft close drawers and polished Corian? work top. 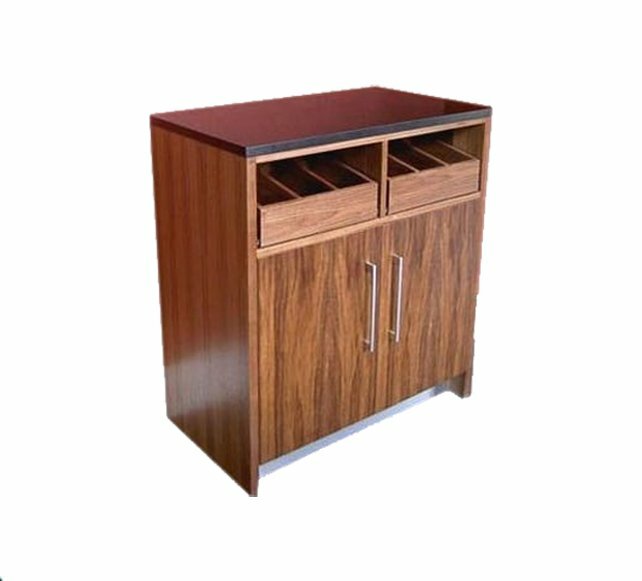 Our waiter stations are designed to provide practical worktop space for catering and beverage preparation at a comfortable standing height with ample storage space for glassware, utensils and crockery. The quality hard wearing lacquer finish protects the cabinet for high use work conditions while accentuating the natural grain in the veneered cabinetry. The polished Corian? worktop provides a stylish and hardwearing work area for the professional catering environment. Features: 12mm Corian? top, brushed stainless steel handles, adjustable shelves, concealed soft close hinges. Top finish: polished Corian?. Wood finish: veneered cabinetry with a lacquer finish. Size (WxDxH): 900x450x1300mm.